Leftover pic from last week. 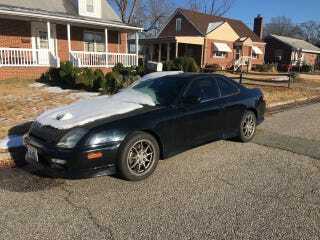 My Prelude with snow on it. And finally a good photo of my mad light JDM wheels yo.